We check over 450 stores daily and we last saw this product for $5,714 at Barneys New York. 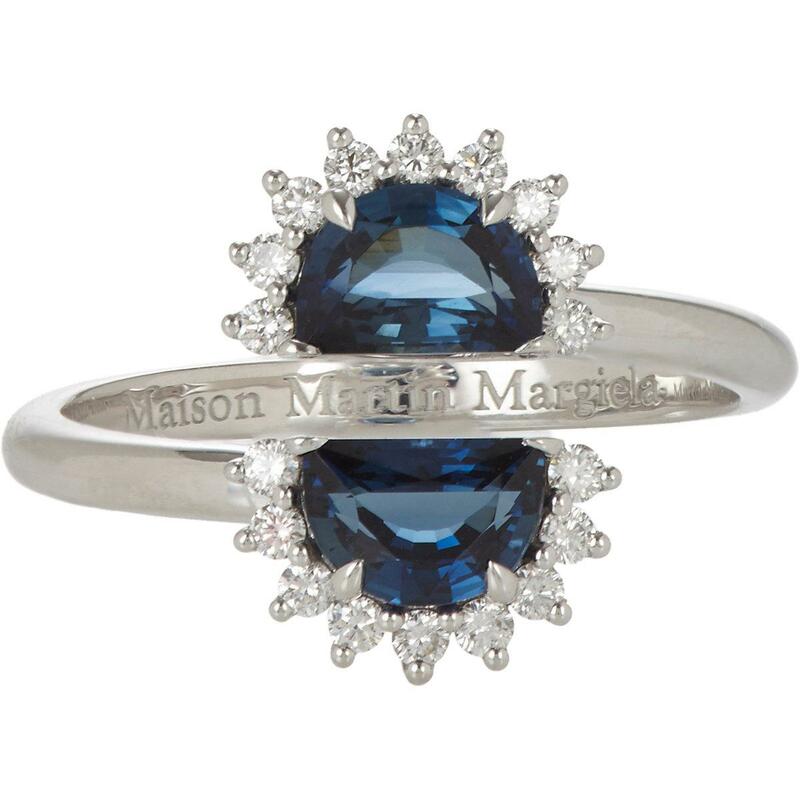 From the Line 12 fine jewelry collection, Maison Margiela's Pompadour split-band ring is crafted of polished 18k white gold set with two half moon-shaped sapphires. A surround of pavé white diamonds provides additional texture and sparkle to the delicate piece. 0.25 ct pavé white diamonds. 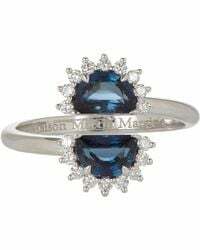 Semi-circle sapphires. Polished 18k white gold. 2mm band width, 14mm face width (approximately). Size 7.